What better way to spend a chilly winter's evening, than enjoying a 6 course gourmet feast and lots of vin rouge. Well, that's exactly what my friend and I thought, so we headed off to Ferdie's Food Lab on Saturday, to do just that. The Chef Extraordinaire behind Ferdie's is Simon Fernandez, who I've known for several years, as he and his partner at the time did the catering for a special party I hosted. And to this day, it's a menu I will never forget. Simon is an adventurous and imaginative cook with a flair for new ideas, as well as creating interesting twists on old favourites. 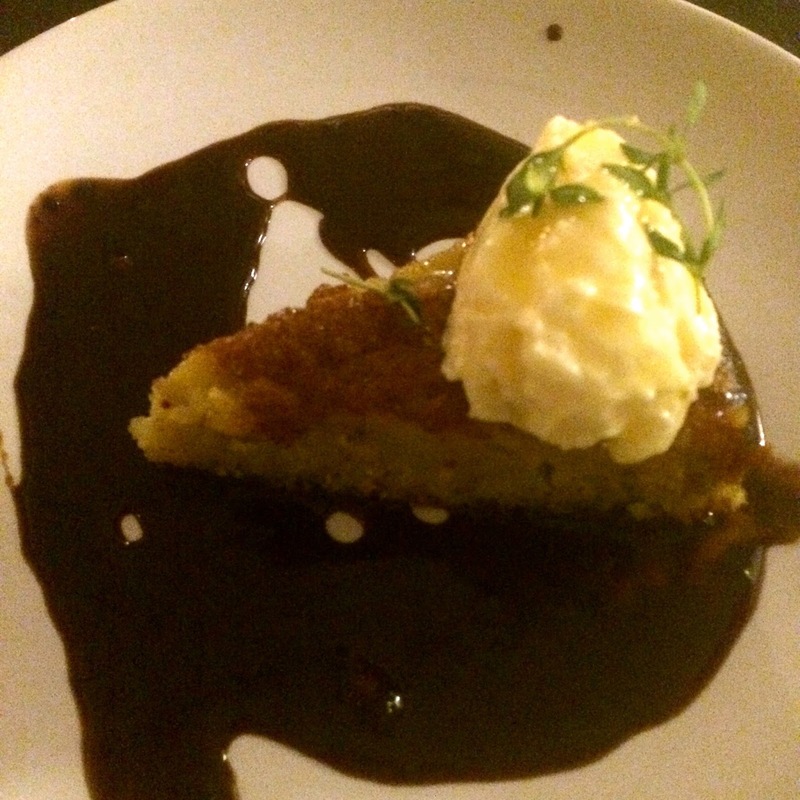 So dinner at his Battersea-based supper club was just the ticket. 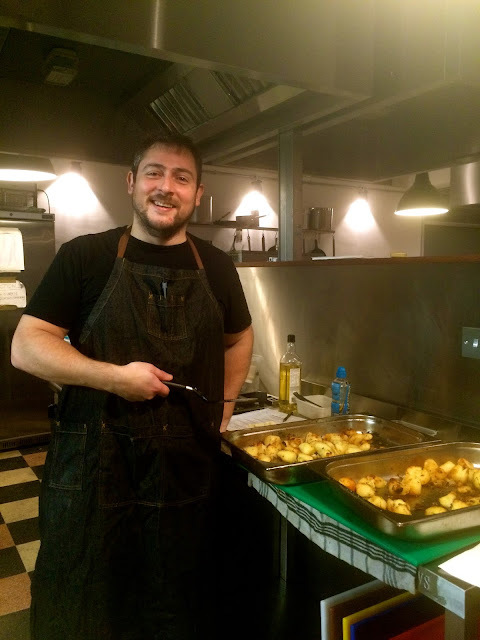 It was held at the London Cooking Project (formerly London Kitchen Project) in Battersea, which is a well-equipped space for cookery classes; resident chefs; supper clubs; venue hire and community gatherings. The front part of the venue is the dining area with a long table and chairs all set up for the diners. Whilst the rear of the venue is where all the cooking action and magic takes place. The only downside of the venue from a dining point of view, was it felt quite soulless and cold, both physically and atmospherically. And being December, I would have liked to have seen a nod towards something more festive. Maybe the warm glow of a Christmas tree in the corner. Or a token cracker. But the most important thing is we were there for the food. And that certainly didn't disappoint. Ferdie's is a BYO event, and he does attach some suggested wine-pairings on the menu, which were also included in the booking info for you to buy in advance, but this wasn't very apparent, so I'm not sure how many people did attempt the wine pairing. But we took a couple of bottles of red which seemed to go well with everything! If you enjoy food and like the unusual setting of a supper club, then I highly recommend you check out Ferdie's Food Lab. Gather some friends, some wine and if you're going in winter, you may want to wrap up warm. And check out his website which he regularly updates with interesting recipes.